In recent years, Asia Pacific consumers have begun a major shift in food preferences and dramatically increased their demand for wheat-based products. In response, three giants of Asian industry have allied to bring a new level of quality, variety and reliability to this expanding market in Indonesia and the neighboring countries. 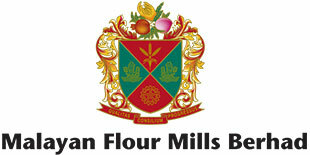 The partnership formed by FKS Group from Indonesia, Malayan Flour Mills from Malaysia and Japan’s Toyota Tsusho has created the region’s most advanced milling company, Bungasari Flour Mills Indonesia. The partners bring many decades of experience and knowledge to the venture. The milling plant in West Java features the most advanced technology and world class research facilities. World leading experts have been recruited and operate this state-of-the-art plant to produce an exciting range of innovative products at a consistent quality level that has set a new benchmark for the industry. This strong partnership, our leading edge facilities, our positioning at a deep water access port and our network assure our customers and associates that we can reliably deliver global class services and products. Bungasari is not just another flour mill, it is an innovator in what has been a traditional business. Driven by research and development and equipped with leading edge technology, we source only the best wheat available to produce not just superior quality products, but improvements in nutritional and health benefits also. We will play a significant role in creating a healthier Indonesia. Our growing family of experts bring passion and integrity to every aspect of Bungasari operations to ensure we remain in touch with the needs and expectations of our customers and so stand out as the premium wheat flour producer in the industry.